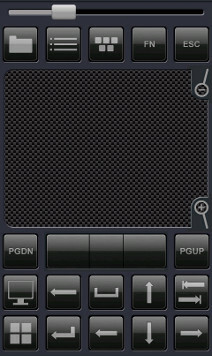 Vectir Remote Control for iOS is now available! Vectir PC Remote Control is packed full of features. 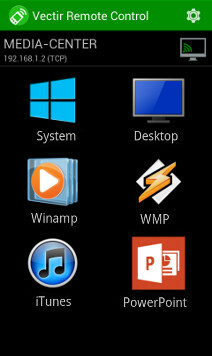 From remote desktop to custom remotes and everything in between we have you covered. Vectir is by far the best remote control app I have come across. It was a breeze to setup and the custom remote control options are simply brilliant! Thanks! 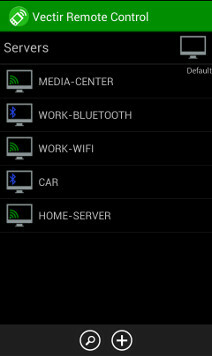 I am using Vectir as a WiFi remote control on my Samsung tablet. The remote keyboard and mouse work flawlessly as does the WMP remote. I found Vectir while searching for a remote control for my HTPC. It has exceeded my expectations and I use it on a daily basis. As a DJ I love the freedom Vectir gives me to move about the venue and still be in total control of the music. Vectir is amazing! I now have full control of my media center PC from anywhere in the house. Thank you! I have now ditched my PowerPoint presenter in favor of Vectir. One less device to remember before leaving home and an extra set of batteries that I don't have to keep charged. 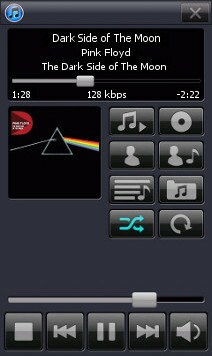 This is so cool I now have a remote control for Windows Media Player in my phone. I can even search my playlists and media library! Thanks to Vectir and a USBUIRT I have replaced all of the remote controls that were littering my coffee table. Thanks! Easily the best PC remote control for Android. 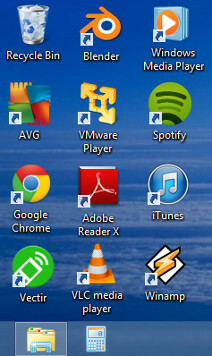 I use it for controlling Spotify and VLC for which it works like a charm. Both WiFi and Bluetooth remote control modes work perfectly.